Xiaomi has been really stepping up its game lately in the smartphone market by offering some beautiful designs and the latest Redmi 3 lives up to that trend. The phone is crafted out of aluminum and offers that true premium feel that one does not associate with budget phones – a category the Redmi series is usually associated with. 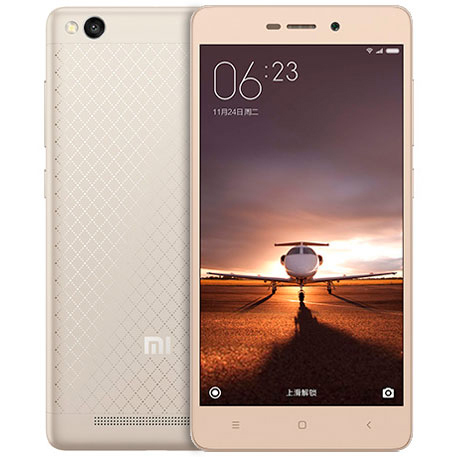 Xiaomi continues to deliver specs and performance in the smartphone world that punches way over its price and as such places the Redmi 3 in a truly competitive position. But first, let’s discuss that immaculate metal construction with rounded-edges which provides a very comfortable grip. 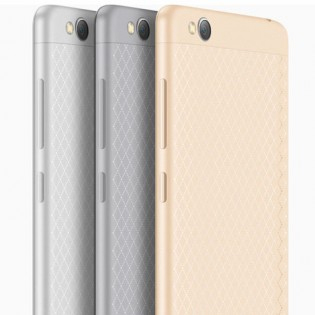 The back of the phone carries a diamond-patterned finish, which not only helps in griping the phone but also gives high-end premium feel to it. Digging into the phone, you will find a Snapdragon 616 octa-core processor at the heart of things. The chip has 4 cores clocked at 1.5 GHz while the other 4 cores are clocked at 1.2 GHz. On the graphics front, there is an Adreno 405 to take care of most of your games and other graphics intensive tasks. All that processing power is coupled with 2GB of RAM, while internal storage memory maxes out at 16GB. Of course storage is expandable to 128GB via an external microSD, however this would hog the slot for the second SIM. The display on the Redmi 3 is a 5-inch LCD panel sporting a resolution of 1280 x 720 pixels, which may seem a bit disappointing to some but we’re talking about a budget phone here – just wait till we get to the price! For photography, Xiaomi has packed in a 13MP rear-facing camera, and a 5MP front-facing camera for all those selfie needs. But perhaps the most unique-selling-point of the Redmi 3 is its gigantic 4,100mAh battery, which is simply amazing considering the 5-inch form factor of the phone. Xiaomi hasn’t said anything about how long the phone would last backed up by such levels of stored power, but from prior experience we won’t be surprised if the battery life isn’t exactly spectacular. 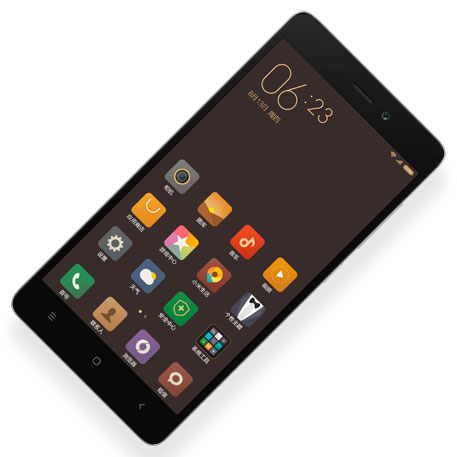 The phone runs the latest version of Xiaomi’s own MIUI OS based on Android 5.1.1 Lollipop out-of-the-box, and is available in four different colors: Fashion Gray, Fashion Gold, Fashion Silver, and Classic Gold. The Classic Gold version does not carry the diamond-patterned back so be mindful of that. 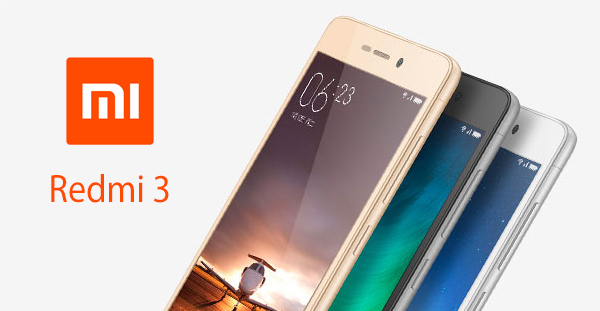 Redmi 3 is available only in China for now, and should be in stock with different retailers starting tomorrow. The phone is however up for purchase at Mi.com right now and costs just $106 (approx. ) only. As for global availability, it may take some time, but Xiaomi looks interested in making that move. Huh? It sounds like you ARE expecting battery life to be spectacular. Or are you expecting that it may be a power hog? If that phone 4,100mAh battery is legit (read keeps the phone up really long) then I’ll most likely give it a go!!! (iPhone 6 first day owner here). The battery may be that big to compensate a huge battery drain?